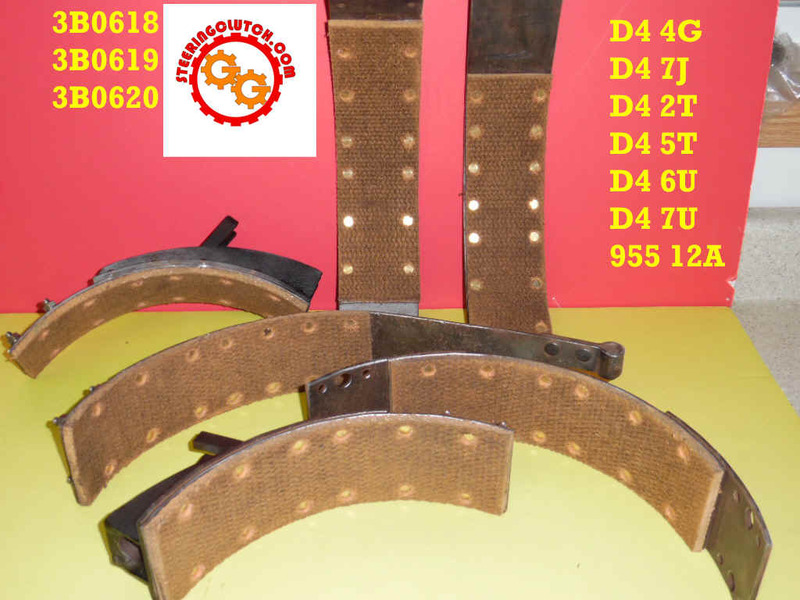 The old D4 steering clutches, from the 4G/6G series, the 7J, 2T, 5T, and 6U/7U series originally used the riveted on lining style of friction discs. 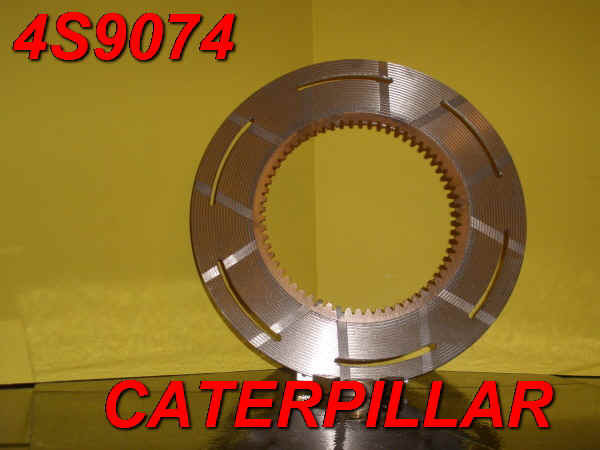 We can convert you to the bimetallic style friction discs and eliminate a lot of your steering clutch problems. We highly recommend converting to the bimetallic driving discs vs. the old riveted on lining style discs. This is an update to the earlier style clutches and cuts down on the possibility of frozen clutches and gives increased life and higher coefficient of friction to your clutches for a longer period of time. Instead of using 8 friction discs with the riveted on linings and 8 steel separator discs, you will use 12 3F5504 bimetallic discs (sintered bronze) and 12 steel discs for each steering clutch. No other changes are required in inner driving drums or brake drums. You can, in most cases, re-use your existing 8 steel discs and merely add four more new steel discs to go with the 12 sintered bronze bimetallic discs needed for the conversion. 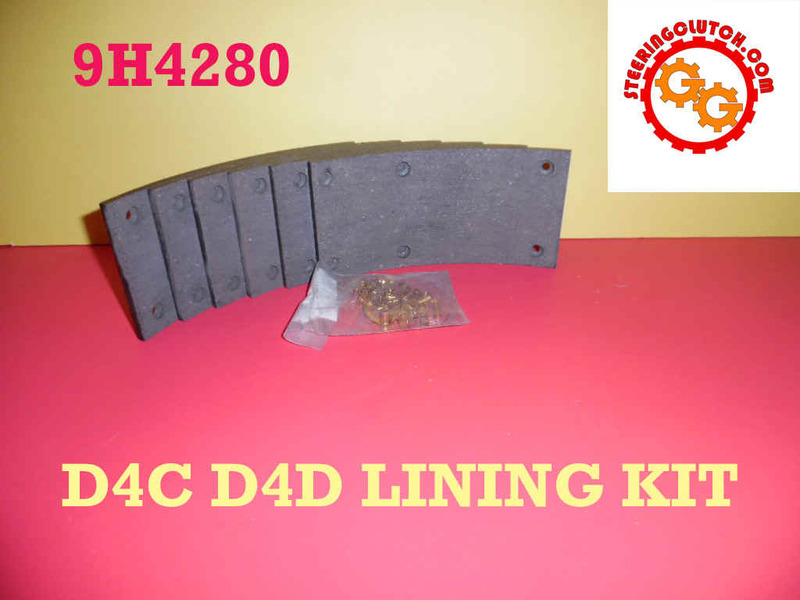 D4 3F5504 ( qty 12) Bimetallic friction discs @ $18.00 EA. D4 2B8955 (EARLIER P/N 3F9073) (qty 12) Steel Discs $10.00 EA. In the later D4 7U the design of the steel separator plates changed to match a newer style inner driving drum. The quantities used became 11 Bimetalic discs and 11 Steel separator plates: For the D4 6U9782 and up and the 7U26503 and up, the inner driving drum changed and the number of discs needed became 11 each friction discs and steel separator plates. NEW BANDS !! 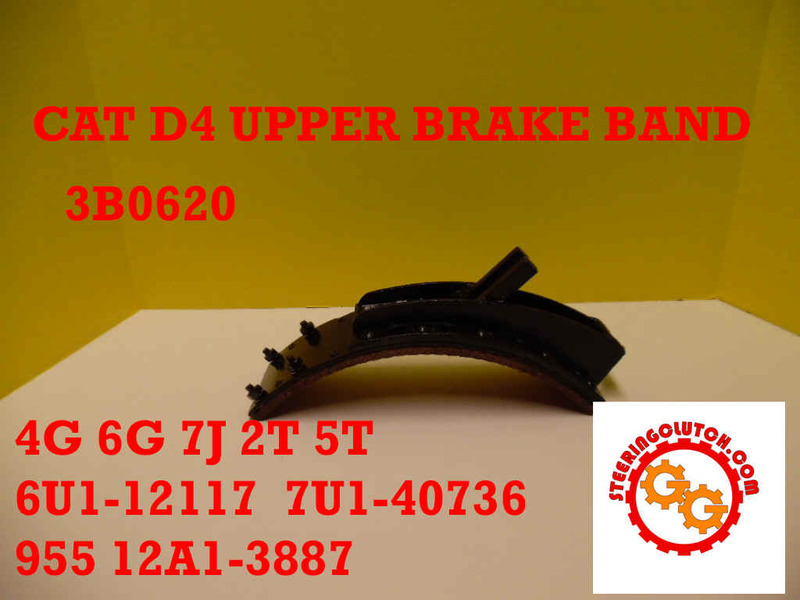 !Sometimes your brake band is worn or rusted out so thin that it is no longer usable. Sometimes it has some subtle bends, slightly out of shape, or has wallowed out rivet holes or rusted out boltholes. Often, if you followed service instructions for brake band removal, you probably destroyed one or two sections!! This makes installing new linings difficult. 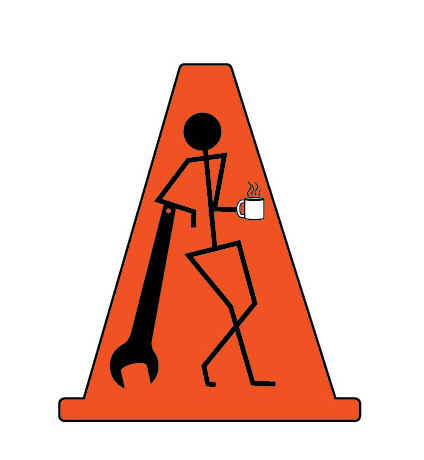 They almost always have broken off carriage bolts or bolts so old that they are no longer trustworthy. 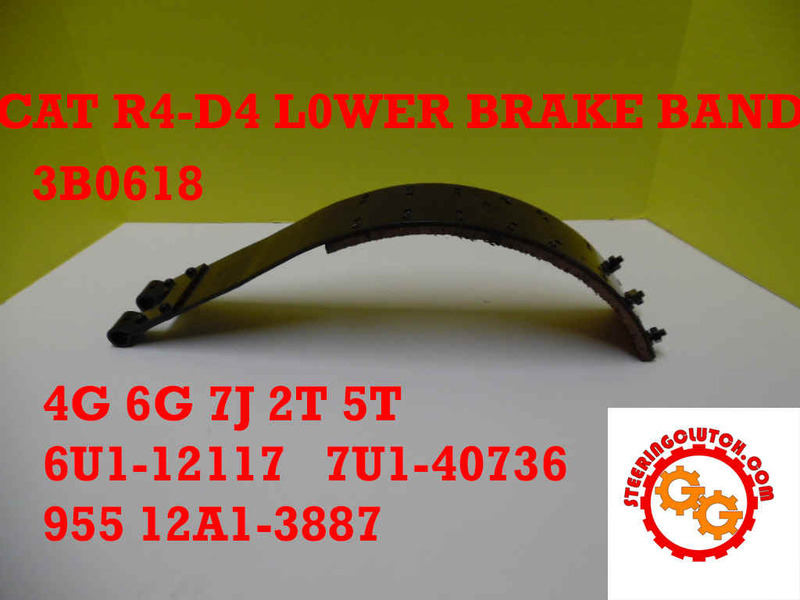 We use a newer style of brake linings for these brake bands. The lining is easier to work with and you can even change position of rivet holes if necessary to compensate for bad rivet holes in the band. This style of lining elminates the possibility of breaking, cracking, or chipping like the molded style linings which are brittle and must fit the perfect curvature of the band. 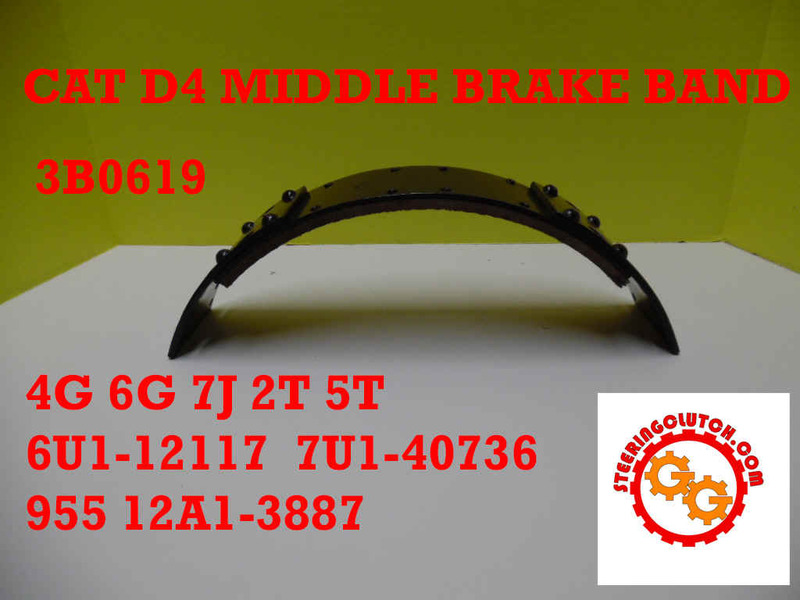 It is often tough to fit the molded linings to 70-80 year old brake bands without damaging that style of lining. Getting proper clearances is even harder! 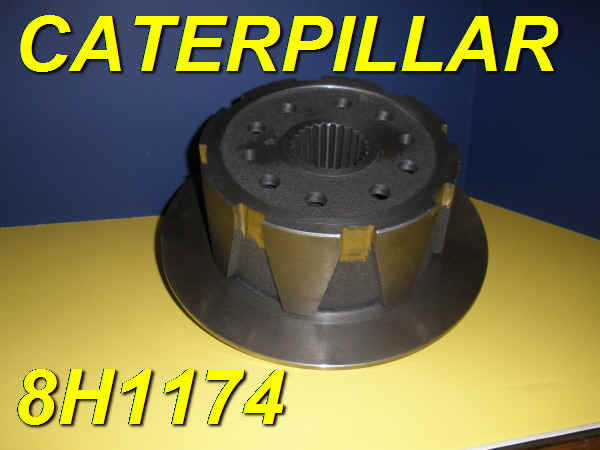 Caterpillar made periodic changes to the cast flywheel clutch pressure plates and backing plates. Over time most of the early plates have been cracked/worn and replaced with the latest update 2H6776 and the 2H6777 (2H8380) cast plates. If have the updated versions, you are in good shape as you only have to replace the casting that may be broken/worn/warped or no longer usable. If you have any of the earlier castings and have to replace one of them, you will have to replace both the front and back castings with the later castings. (earlier casting numbers were 3B0606, 5B2921, 7B0749, 8F2950, 2F5461..........If you have one of these early numbers on your olsd clutch, you will either have to find a good used identical replacement with the same casting number or replace both the front and back castings of your flywheel clutch. 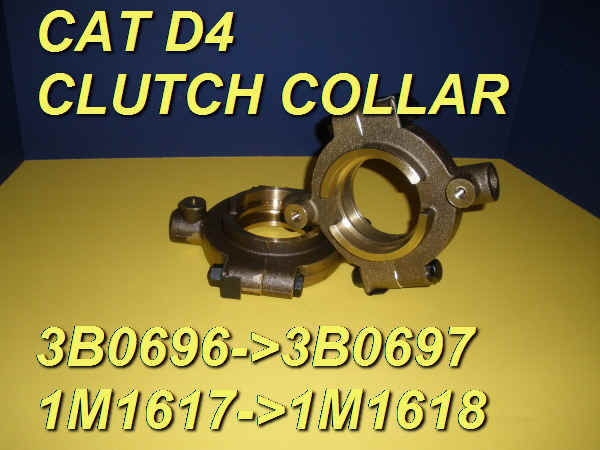 (earlier casting numbers were 3B0650,4B5923, 4B5924, 5B2924, 5B2922.......If you have one of these early numbers on your olsd clutch, you will either have to find a good used identical replacement with the same casting number or replace both the front and back castings of your flywheel clutch.